UFC 232 Pay-Per-View event is set to take place on December 29, inside T-Mobile Arena in Las Vegas, Nevada. The main headliner bout features a light heavyweight title rematch between Jon Jones and Alexander Gustafsson. The showdown is for a vacant 205-pound title, which implies that Daniel Cormier will be stripped of title as soon Jones versus Gustafsson throw the first punch inside the Octagon. Breaking: Jon Jones vs. Alexander Gustafsson 2 is set for UFC 232 on Dec. 29 in Las Vegas. Jones and Gustafsson’s first fight is widely recognized as one of the greatest light heavyweight title fights of all time. 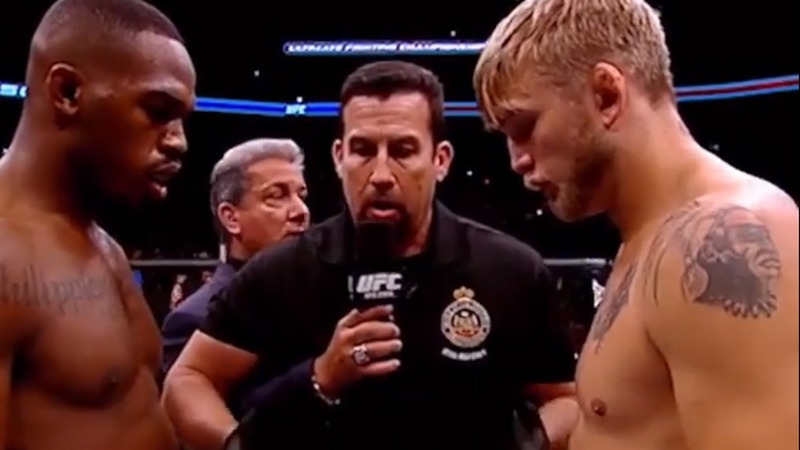 Both fighters met in the main event of UFC 165 back in 2013, when Jones defeated Gustafsson via unanimous decision win, though many fans felt ‘The Mauler’ should have granted the victory. This matchup will be Jon Jones first fight as he last fought at UFC 214 in July of 2017 when he knocked out Daniel Cormier via head kick. Shortly after, it was reported Jones flunked a drug test that cost him fight results, which was quickly ruled a no contest. Later Daniel Cormier was reinstated as champion. Jon Jones recently received a 15-months of reduced suspension from Anti-Doping Agency (USADA) that means he’s eligible to return to Octagon by late October. Meanwhile, Alexander Gustafsson, who last fought in May of 2017, when knocked out Glover Teixeira. ‘The Mauler’ is currently riding on two win streak. What do you think of this matchup? Who do you think will win the rematch?